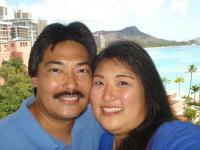 Growing Team and Most Supportive Team in North America! We Will Help and Support You Every Step Of the Way. Core is the most concentrated, one ounce, green supplement on the market. It combines chlorophyillin, aloe vera, spirulina, wheat grass cranberry seed, milk thistle seed, kale, balck cumin seed, chlorella, and dandelion, Core helps replenish your organs on the cellular level, so your body’s sytems run like a well-oiled machine. WHAT IS IN RAIN CORE? 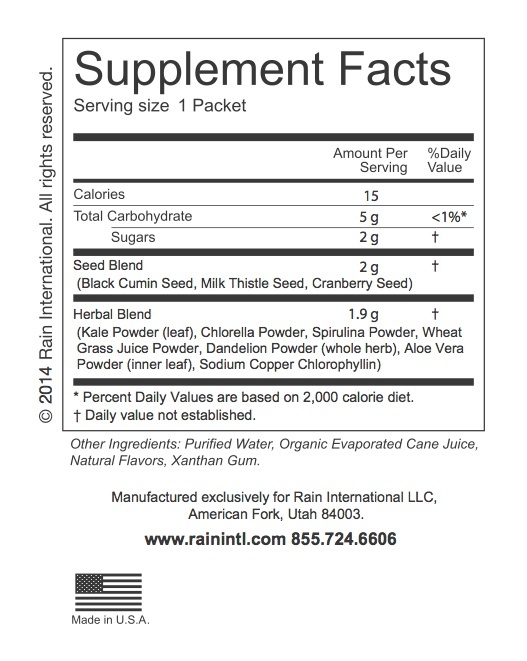 Rain Core is packed with nutrients from notable seeds and greens. Within Rain Core are: chlorophyllin, aloe vera, spirulina, wheat grass, cranberry seed, milk thistle seed, kale, black cumin seed, chlorella and dandelion. Kale is considered one of the most nutritious vegetables in the world and is known as the “original superfood.” Kale contains high amounts of sulfur and dietary fiber. Sulfur is actually the third most abundant mineral in the body and aids fat digestion and absorption, and the regulation of blood sugar. Aside from being great detoxifiers, sulfur and fiber also stimulate weight loss. This fact, coupled with its low calorie and fat content, makes kale an effective weight loss food. Hundreds of studies have been conducted on black cumin which have shown that compounds from the seeds help support the bodies immune system. Black Cumin Seeds contain over 100 chemical compounds, including some yet to be identified. In addition to what is believed to be the primary active ingredient, crystalline nigellone, black cumin seeds contain: thymoquinone, beta sitosterol, myristic acid, palmitic acid, palmitoleic acid, stearic acid, oleic acid, linoleic acid, linolenic acid, arachidonic acid, protein, vitamin B1, vitamin B2, vitamin B3, folic acid, calcium, iron,copper, zinc, and phosphorous. polyunsaturated and monounsaturated fatty acids, phospholipids, phytosterols and large amounts of antioxidants that offer a variety of health benefits. Recommended amounts vary per person. Start by taking one Soul and One Core each day, adjust as needed. WANT TO TRY SOME RAIN SOUL SAMPLES FIRST? 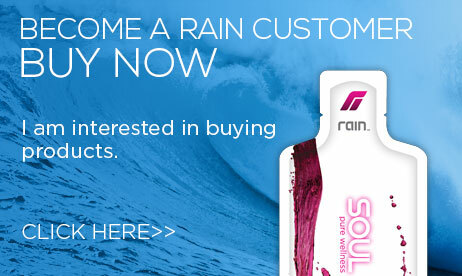 Order Your 6 - Day Supply of Rain Soul Samples Here! Order a 30-Day Supply of Rain Soul Trial Samples. Comes with a 30 Day RISK FREE Money Back Guarantee. Order a 30-Day Supply of Rain Core Trial Samples. 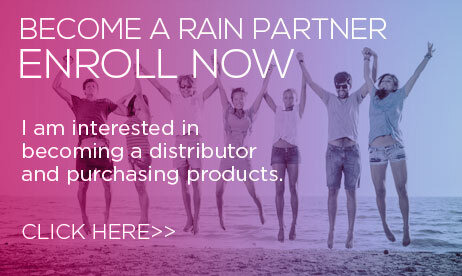 Yes, I am interested in improving my health and want to try Rain™ Soul samples and learn more about this exciting product, company, and business opportunity! Please fill out the form below so that we can get in contact! MLM LEADERS WANTED, Professional Network Marketers, Medical Doctors, Nurses, Naturopaths, Physical Therapists & All Health Care Professionals, Hair Dressers, Hair Salons, Nail Salons, Gyms, Zumba Instructors and all others who wish to make a huge income potential sharing a unique natural product that really works. BECOME A RAIN SOUL, RAIN CORE, RAIN INTERNATIONAL PARTNER / BUY RAIN SOUL Available in 20 Different Countries - Canada, United States, USA, United Kingdom, (England, Great Britain, UK, Europe) Hungary, Romania, Indonesia, Malaysia, Hong Kong, Taiwan, Singapore, Slovakia, Serbia, Germany, Croatia, Ukraine, Poland, Brunei, Japan, Philippines, Thailand , Vietnam, Coming Soon. Rain Soul by Rain International, is available in all 50 States and Canada.